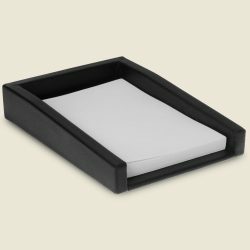 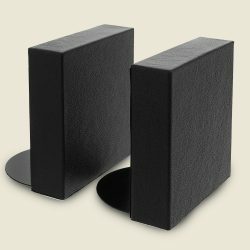 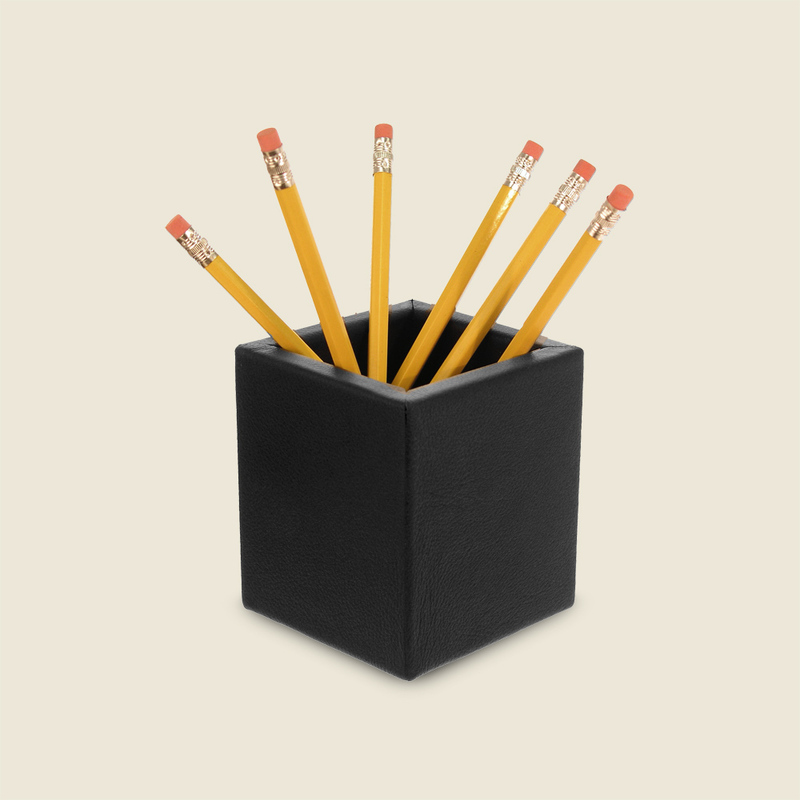 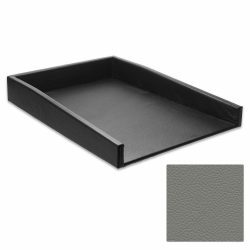 This 4″ tall leather wrapped pencil cup provides a great way to keep desks organized. 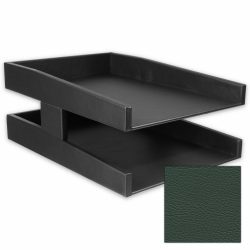 Pens, pencils, markers, and scissors can all be stored and organized in this leather pencil cup and kept out of messy desk drawers. 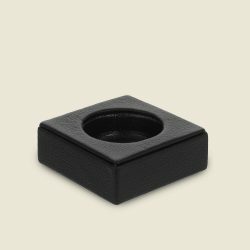 While the elegance of high-end luxury pens is emphasized by the contrast that the soft, smooth leather of this pencil cup creates, the full leather wrap around the edges protects the finish on the pen from being damaged. 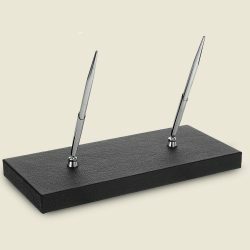 Whether you use disposable pens or glossy high-end luxury pens, storing all writing utensils in one place is a great way to stop losing them.